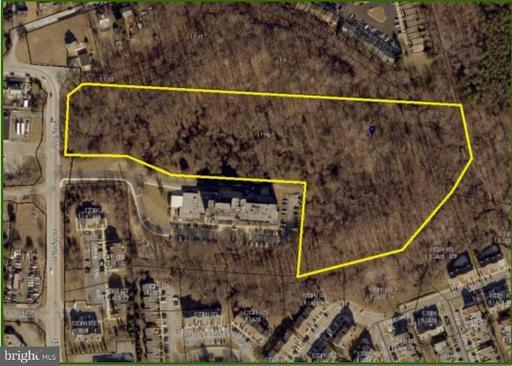 Development opportunity inside the Beltway in Prince George~s County, MD. Zoning allows for high-density development of multi-family and townhouses. With over 10 acres of land, 400+ multi-family units may be developed subject to site engineering. Or a combination of 175 multi-family units and 57 townhouses may be developed. APPRAISERS PLEASE NOTE: New construction home! Please call Denise Jones at 301-937-3913 for more information. Strauss Urban 4 Story END UNIT. 3 BR, 3 full baths, 2 ~ bath home. Entry level with large recreation room and half bath. Stainless steel appliances, gas range, granite countertops, luxury engineered hardwood floors throughout the kitchen and dining space. Upgraded kitchen and bathroom package. Master bedroom with ensuite bath and walk in closet, and frameless shower door. Two other bedrooms and full bath all on the same level as the master bedroom. Main level kitchen, dining room with custom hutch, and living space with additional half bath~perfect for entertaining. Upgraded lighting. Fourth floor including a HUGE loft space, walk in closet, full bath and roof top terrace. Wood stairs throughout. Two car rear-entry garage. APPRAISERS PLEASE NOTE: New construction home! Please call Denise Jones at 301-937-3913 for more information. Strauss Urban 4 Story END UNIT. 4 BR, 4 full baths, 1 ~ bath home. Entry level with bedroom and full bath. Stainless steel appliances, granite countertops, luxury engineered vinyl plank floors throughout the second level (kitchen, dining and living space). Upgraded kitchen and bathroom package. Master bedroom with ensuite bath and walk in closet. Two other bedrooms and full bath all on the same level as the master bedroom. Main level kitchen, dining, living space and half bath~perfect for entertaining. Upgraded lighting. Fourth floor including a HUGE loft space, walk in closet, full bath and roof top terrace. Wood stairs throughout. Two car rear-entry garage. APPRAISERS PLEASE NOTE: New construction home! Please call Denise Jones at 301-937-3913 for more information. Strauss Urban 4 Story. 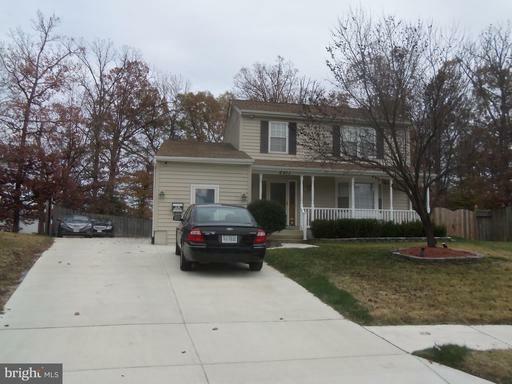 3 BR, 3 full baths, 1 ~ bath home. Entry level with large recreation room. Stainless steel appliances, gas range, granite countertops, luxury engineered hardwood floors throughout the kitchen and dining space. Upgraded kitchen and bathroom package. Master bedroom with ensuite bath and walk in closet. Two other bedrooms and full bath all on the same level as the master bedroom. Main level kitchen, dining room, and living space with half bath~perfect for entertaining. Upgraded lighting. Fourth floor including a HUGE loft space, walk in closet, full bath and roof top terrace. Wood stairs throughout. Two car rear-entry garage. APPRAISERS PLEASE NOTE: New construction MODEL home! Please call Denise Jones at 301-937-3913 for more information. McPherson Urban 3 Story END UNIT. 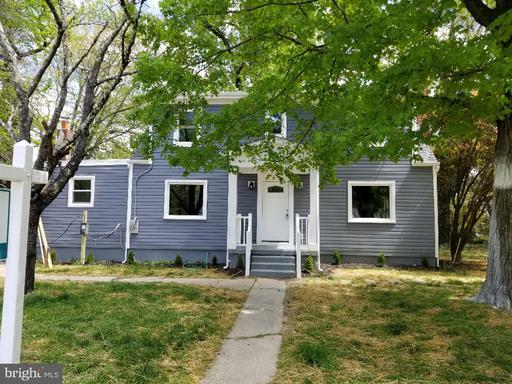 3 BR, 2 full baths, 1 ~ bath home. Entry level with large recreation room. Stainless steel appliances, gas range, granite countertops, luxury engineered hardwood floors in the kitchen and dining spaces. Upgraded kitchen with backsplash and upgraded bathroom package. Master bedroom with ensuite bath and walk in closet. Two other bedrooms and full bath all on the same level as the master bedroom. Main level kitchen, dining, and living space with a half bath~perfect for entertaining. Wood stairs throughout. Two car rear-entry garage. APPRAISERS PLEASE NOTE: New construction home! Please call Denise Jones at 301-937-3913 for more information. Clarendon Urban 4 Story END UNIT. 3 BR, 3 full baths, 1 ~ bath home. Stainless steel appliances, gas range, granite countertops, luxury vinyl plank floors throughout the second level (kitchen, dining and living space). Half bath on second level. Entry level recreation room. All staircases are wood. Fourth floor bedroom with ensuite bath including dual vanity sink and walk in closet, and roof top deck. Main level kitchen, dining, and living space~perfect for entertaining. Upgraded lighting. One car rear-entry garage. APPRAISERS PLEASE NOTE: New construction home! Please call Denise Jones at 301-937-3913 for more information. Strauss Urban 3 Story END UNIT. 3 BR, 2 full baths, 1 ~ bath home. Stainless steel appliances, gas range, granite countertops, luxury vinyl plank floors throughout the second level (kitchen, dining and living space). Half bath on entry level. Master bedroom with ensuite bath and walk in closet. Two other bedrooms and full bath all on the same level as the master bedroom. Main level kitchen, dining, and living space~perfect for entertaining. Upgraded lighting. Two car rear-entry garage. APPRAISERS PLEASE NOTE: New construction home! Please call Denise Jones at 301-937-3913 for more information. Clarendon Urban 4 Story END UNIT. 3 BR, 3 full baths, 1 ~ bath home. Stainless steel appliances, gas range, granite counter tops, luxury vinyl plank floors throughout the second level (kitchen, dining and living space). Half bath on second level. Entry level recreation room with luxury vinyl plan throughout. Fourth floor bedroom with ensuite bath, loft space, and roof top deck. Main level kitchen, dining, and living space~perfect for entertaining. Upgraded lighting. One car rear-entry garage. Spacious Detached Colonial. Large yard. Three full levels. Three large bedrooms, Three Full baths. Hardwood Floors, Finished basement. Remarks: APPRAISERS PLEASE NOTE: New construction home! Please call Denise Jones at 301-937-3913 for more information. Clarendon Urban 4 Story END UNIT. 4 BR, 4 full baths, 1 ~ bath home. Upgraded kitchen and bathroom package. Stainless steel appliances, gas range, granite countertops, luxury vinyl plank floors throughout the second level (kitchen, dining and living space). Half bath on second level. Entry level bedroom and full bath. All staircases are wood. Fourth floor bedroom with ensuite bath, loft space, and roof top deck. Main level kitchen, dining, and living space~perfect for entertaining. Upgraded lighting. One car rear-entry garage. APPRAISERS PLEASE NOTE: New construction home! Please call Denise Jones at 301-937-3913 for more information. Clarendon Urban 4 Story END UNIT. 4 BR, 4 full baths, 1 ~ bath home. Upgraded kitchen and bathroom package. Stainless steel appliances, gas range, granite countertops, luxury vinyl plank floors throughout the second level (kitchen, dining and living space). Half bath on second level. Entry level bedroom and full bath. All staircases are wood. Fourth floor bedroom with ensuite bath, loft space, and roof top deck. Main level kitchen, dining, and living space~perfect for entertaining. Upgraded lighting. One car rear-entry garage.